According to the latest figures from the Finance and Leasing Association (FLA), second charge lending, including mortgages in the UK were up by 24% in February of 2019. With more than 2,000 second charge agreements made in this period, at a value of almost £100 million, these flexible secured loan products are increasing in their popularity and for good reason. One of the fundamental benefits of taking out second mortgages is that you can leave your first charge mortgage reasonably, if not entirely unaffected. This means that if you have favourable terms and a beneficial agreement with your mortgage lender, rather than having to remortgage and face potentially large exit fees, you can seek a second mortgage. Furthermore, it means there is a potential second finance option when it comes to funding suitable projects and causes such as a buy to let portfolio, or other commercial investment. Many landlords and property owners often find that managing a portfolio of properties is difficult enough, with the additional concern of needing to think about commercial finance options (more information). How Does a Second Charge Mortgage Work in Practice? Second charge mortgages, as their name suggests, are loans which are secured against a property concurrent with a first charge mortgage. Hence, failure to repay these mortgages, as with others can lead to property repossession and costly court proceedings. In practice however, these mortgages are secured against a portion of a property’s ‘acquired’ equity (the equity which has been purchased by the property owner through paying a first charge mortgage.) The borrower must agree the terms of the second charge mortgage, and the amount to be provided, known as the ‘loan-to-value’ (LTV) with the second charge lender as well as the first charge mortgage provider. It is also crucial that there is an agreement between the first and second charge providers as the first charge lender will always get precedence. This in turn means that the risks for the second mortgage lender is far more than that of the first; if the borrower defaults, the second lender stands to lose out, being second in the pecking order when it comes to being reimbursed. Therefore, if the property is repossessed, the second charge loan provider may actually lose money. When it comes to repaying second mortgages, this will be done alongside the first charge mortgage, not after. You will therefore have two mortgage debts to pay off and it is vital that you do so to avoid repossession or additional fees and charges. Once you have paid off a portion of the second mortgage and can address the first mortgage, it is possible to remortgage the first mortgage to repay the second, consolidating your mortgage debts back into a single, more affordable loan product. 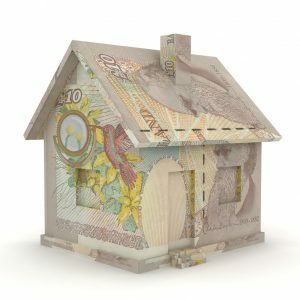 What Are Second Mortgages Useful For? Expanding a Business – If a business is struggling to get to the next level and has real potential for increased profitability, many lenders will consider providing second mortgages in to help kick-start, or even progress a business, so long as there is real scope for growth.